﻿ Bisma Eight Ubud, Bali | FROM $212 - SAVE ON AGODA! "Staff are great and location is close to town..."
Have a question for Bisma Eight Ubud? "A wonderful boutique hotel very centrally located with staff who make staying at Bisma Eight a pleasant experience!" "Breathtaking design of the public spaces and the hotel rooms..."
Stay at the Bisma Eight Ubud and treat your loved ones to a luxurious and unforgettable vacation. Equipped with a kids club, the property offers parents a secure childcare option to keep their little ones busy. From a concierge to a babysitting service, it has various convenient services, ensuring that you get the most out of your time in Bali. Looking out at the nature and garden, it has stunning scenery. It is near Ubud Market, Komaneka Gallery, Museum Puri Lukisan, Ubud Palace, and Saraswati Temple. With Asian and International restaurants nearby, you can enjoy different delicious cuisines during your trip. Featuring a bar, a coffee shop, restaurants on the property, BBQ facilities, and a poolside bar, the Bisma Eight Ubud offers a selection of dining and snacking choices. The property has several convenient features, such as safety deposit boxes, a currency exchange, a salon, a library, and a shrine. There's free Wi-Fi available in all rooms, as well as Wi-Fi in common areas, ensuring that visitors are always able to contact their friends and family back home without splashing out on foreign data charges. This property has a fitness center, a garden, and a spa, among other amazing facilities. The Bisma Eight Ubud accommodates pets, saving you the hassle of finding the perfect pet sitter while you're away from home. If you want to spend the day simply relaxing and unwinding, get a massage nearby. With guided tours available, this property is a great place to stay to learn about your surroundings and see everything you can while you're here. It offers hiking, so you can enjoy a beautiful day outdoors. This property has facilities for disabled guests, is wheelchair accessible, and provides access to an elevator. The front desk is open around the clock, ensuring that there is always someone on call to assist you with any questions whenever you may need. The Bisma Eight Ubud offers check-in from 02:00 PM and check-out until 12:00 PM. This property provides express and private check in and check out, allowing you to conveniently choose the option that best suits your needs. The nearest airports are Ngurah Rai International Airport (DPS) and Lombok International Airport (LOP), which are 28.5 km and 113.6 km away. Bangli Bus Terminal is 12.2 km away and Ubung Bus Terminal is 15.1 km away. "Such a stunning place with great interior design, an amazing..."
Children under 5 years of age will receive breakfast free of charge. Children aged 6-11 years old will be charged half the adult price for breakfast. Bali island celebrates the Nyepi (Silent) Day, which is a day of absolute silence throughout the island. No outdoor activities are allowed including check-in and check-out at the properties. The Nyepi (Silent) Day will happen on March 17, 2018, March 6, 2019, March 25, 2020, March 14, 2021, and March 3, 2022. I absolutely love staying in Bisma Eight. It always feels like home the soonest we stepped into the hotel. We were greeted by the warmest and friendliest staffs. In fact everyone who works there always has a smile on their faces. The second time we stayed here, we received a complimentary upgrade to Forest Suite which was just lovely. I would recommend those who are visiting Ubud to stay in Bisma Eight. Its a delightful experience, one which will make you have post holiday blues once you leave the hotel. 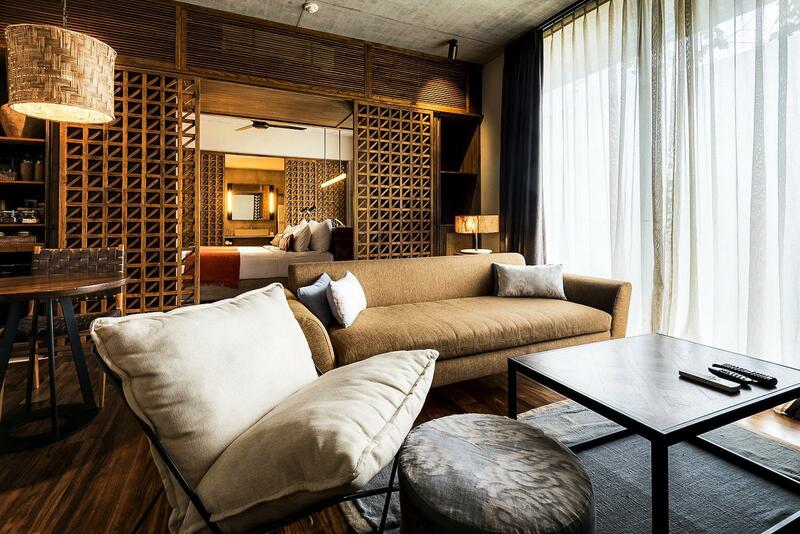 I would absolutely stay in Bisma Eight again when I Visit Ubud the next time round. Thank you to the whole team for making each stay of mine an unforgettable and one that is filled with satisfaction. Bisma Eight is a lovely place. The large suites with separate living space and large bathroom are terrific. Perfect for a couple or 2 friends. The infinity pool is nice but as we have a 7 year old boy we did find it a bit small and intimate for him to play freely. 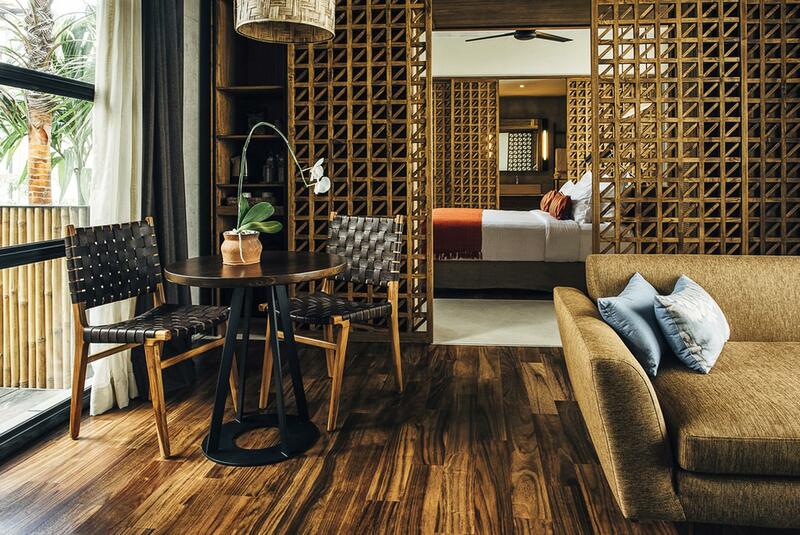 I'm not sure I'd ever try going to Bali again during the December holiday season... but if I did I'd be happy to return to the comfortable environs of Bisma Eight. Staff are great and location is close to town... F&B excellent... and room was comfortable & quiet. It's our first time to Bisma 8 Ubud and its beyond our expectations! Best food in Ubud and the staffs are exceptional! They were very helpful when my wife got sick (gastric + fever), i remember the receptionist who asking about my wife couple times, provided us complimentaries such as taxi to the nearest clinic and foods (ordered 3x chicken porridge since she couldn't eat anything besides that) for my wife. Thank you for the kind & caring gesture, we surely be back to bisma 8 for our next trip. I wanted a special place to stay for 2 days with my wife after she returned from some time away. Bisma Eight is unique with a great design and feel. The staff were excellent the room and hot tub was amazing. However, we could hear noises like opening and closing doors from other rooms. The balcony view in the Forest room was not that great. And the light from the wardrobe was constantly on. It's a great boutique hotel, but we felt it was about 30% overpriced. overall we enjoyed our experience but won't stay again at that price. Great breakfast. Too much choice. Friendly staff are a great asset. Restaurant bookings help too. Nice, relax and comfortable place to unwind yourself. The staff are all very friendly and speaks English. However, the facilities area bit old and might need replacement/maintenance. About 1.5 hours car ride from the airport. ~20mins walking distance to the Ubud Art Market. We had a lovely 3 days at Bisma Eight. The room was amazing. The gym is pretty good but a little basic. The pool setting is unreal!! The Copper Kitchen restaurant was delicious - the beef rendang was stunning. The food from the room service menu is very average and I would avoid ordering the burger or the afternoon tea from the pool bar - very flavourless food. The cocktails were a little hit and miss too. The staff are incredible and so helpful. The hotel is a little out of the hustle and bustle of Ubud but within walking distance of the town. Would definitely stay here again!! Love everything about Bisma Eight! The room was huge with beautiful interior and we love the wooden bathtub! Breakfast selection was excellent and infinity pool with view to die for! We totally made the right choice by staying at Bisma! Booked the suite, which was spacious. Pool tranquil. The food was 10/10 could not fault it. Close to main road and attractions but quiet. Staff were exceptional and could not do enough for you. Would definitely stay there again if in Ubud. Bali Ebikes right next door as well as scooter hire. The room is quite spacious. Staffs are all friendly and welcoming. Getting into the hotel is quite tricky as you have to go thru a narrow road; otherwise, quite recommended. Exceptional customer service. Thank you for the decoration and chocolate cake for our anniversary. The room is very spacious and comfortable. The wooden bathtub is definitely the highlight. The pool area is nice as well with delicious cocktail and snacks. The breakfast is tasty. We had one day at the restaurant and one day inside our room. Eating in the restaurant gives you more options for fresh juice but eating inside the room is more exclusive. Both are good experience. We took the complimentary yoga class and used their gym, a good way to stay fit. We loved our stay here! Everything in the hotel is designed to calm and make you relax. I loved the garden pathway, the al fresco restaurants with views of the rice fields and forest and most specially the infinity pool. It's like every corner invites you to take a picture. The room is also great. We loved the super comfy bed, the Onsen bath tub and balcony overlooking the forest. We had our lunch and breakfast served here. Everything tasted and looked good. There's also free daily classes offered by the hotel. We were able to try the cooking and yoga classes. All of the staff were very friendly. If you will stay here in Bali, it's recommended you have a staycation of at least one day in Bisma Eight Ubud. Location is good walking distance to the crowded restaurants n shops. But if you like more fun rent a bike just outside the hotel.. makes your journey much more convenient. Love the breakfast. Kids love the big Japanese tub. Only 1 advice maybe a little dark when walking at night back to room. Need more lights, old people and kids might trip. We love every details about their furniture and design. Everything was so thoughtfully executed. They pampered every sense we have: sight, smell, tastebud, skin. Staffs were super friendly and helpful. Facilities were great. It's super memorable, I would definitely come back for more. We had the most memorable time in Ubud because of this hotel. Bisma Eight is a wonderful property located on a quiet road of the main strip of Ubud, Bali. It's a short 5-10 minute walk to the downtown part of Ubud. 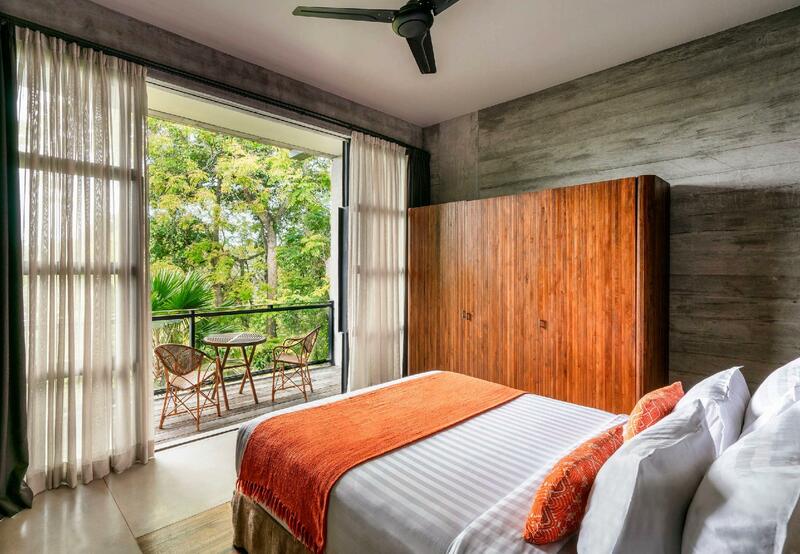 But the location of the hotel makes it so attractive as a quiet oasis on the edge of the tropical rain forests. The best things about this place? 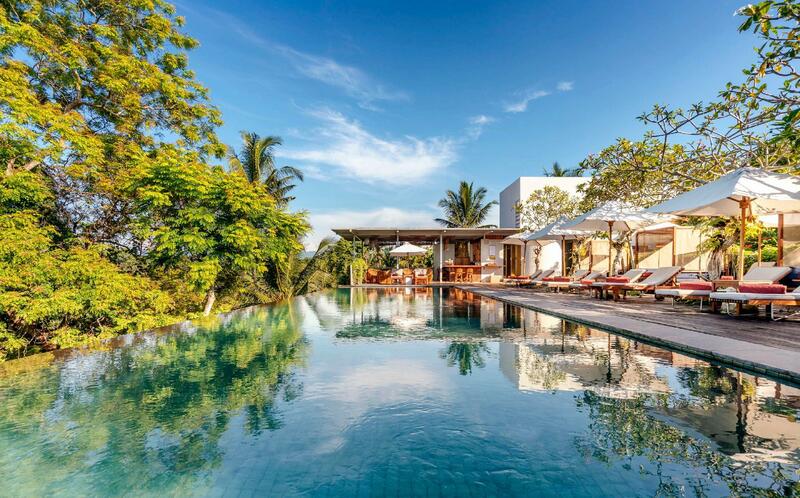 The infinity pool, the service, and the restaurant. The rooms are pretty good too. We had a garden suite. We especially like the the bathroom with a traditional Japanese wooden, onsen-type tub. It does take a long time to fill up so beware. The restaurant serves up really delicious, nouveau cuisine and Indonesian standards. We also liked the breakfast simply because it was not your typical buffet but rather a la carte. Downsides -- some mosquitoes despite weekly fulmigation. But hey, you are on the edge of a jungle so what do you expect. The room service was not always consistent in providing us with the right amount of cutlery but the taste was just as good as having it in the restaurant. Would I recommend this place - definitely yes!